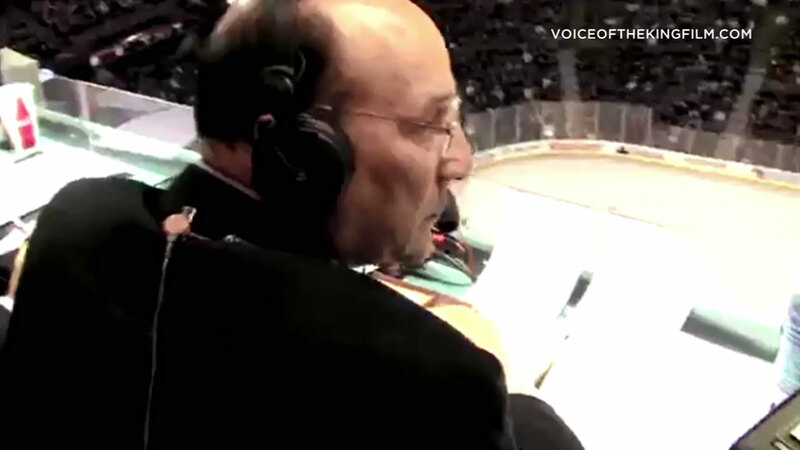 Legendary Los Angeles Kings announcer Bob Miller is being celebrated in the new documentary "Voice of the King." LOS ANGELES (KABC) -- Legendary Los Angeles Kings announcer Bob Miller, who retired this season after calling games for 44 years, is being celebrated in a new documentary about his life and Hall of Fame career. "Voice of the King" includes interviews with those who knew Miller best, including Kings icons like Wayne Gretzy and Luc Robitaille. Miller started with the Kings in 1973 after being discovered by Lakers announcer Chick Hearn, according to the filmmakers. Highlights of his career included calling two Stanley Cup championships, and among his many honors is a star on the Hollywood Walk of Fame. The documentary will be screened Wednesday at the Laemmle theater in North Hollywood at 7 p.m. More information is available here. Miller himself is expected to attend the screening and take questions afterward.